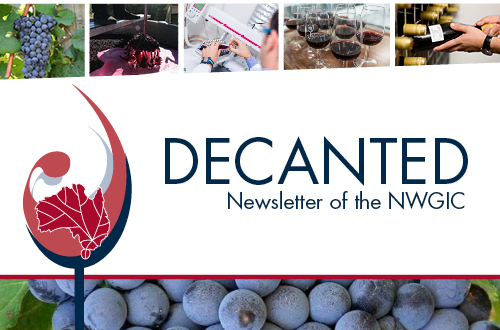 Keep up to date with what's happening at NWGIC through our news items and newsletter. 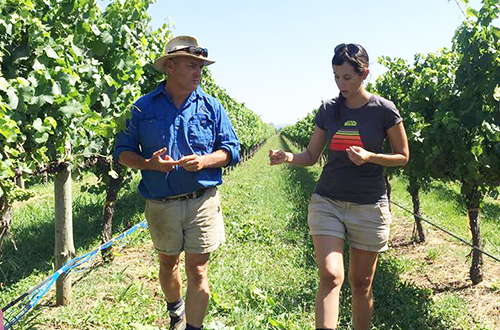 High temperatures, harsh light and ultraviolet radiation can lead to a nasty case of sunburn – not just for people but for winegrapes – and the National Wine and Grape Industry Centre (NWGIC) is investigating how to reduce the damage and financial losses. In this edition: we turn up the heat in research examining the impact of higher temperatures on grape and wine quality to develop new management strategies for growers. We celebrate PhD student Aruni Buddhika's graduation and welcome back Dr Jason Smith. There’s also researcher profiles, visitors to the Centre and a report on international travel.